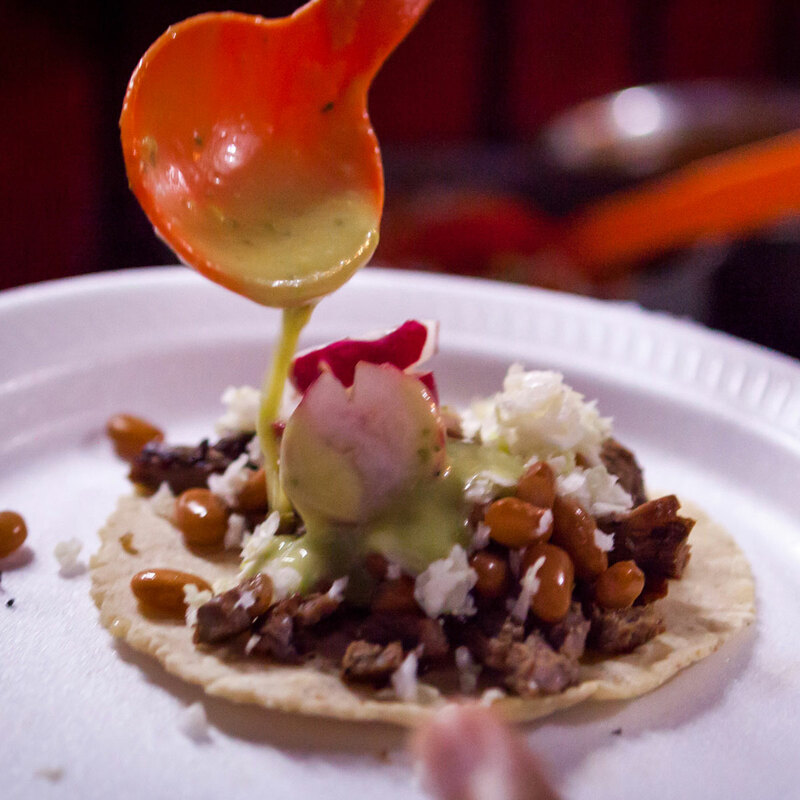 For Street Foodies And Taco Lovers! 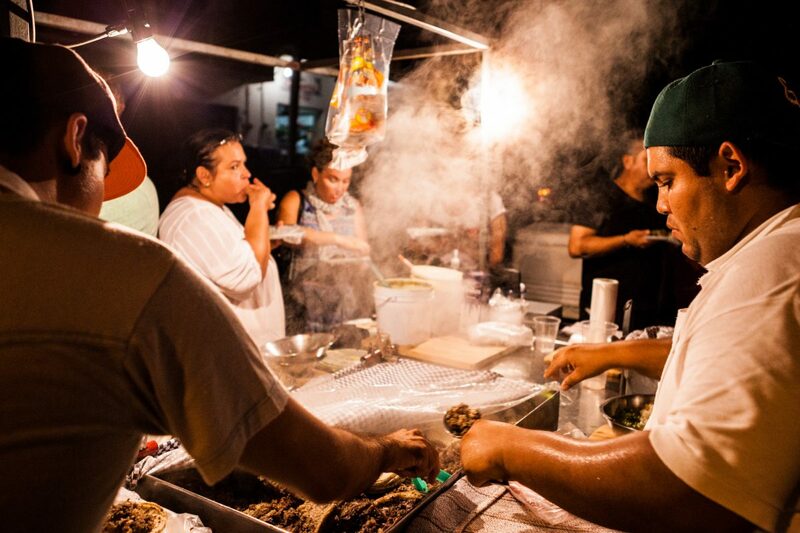 Some Of The Best Food In Vallarta Is Only Served At Night. 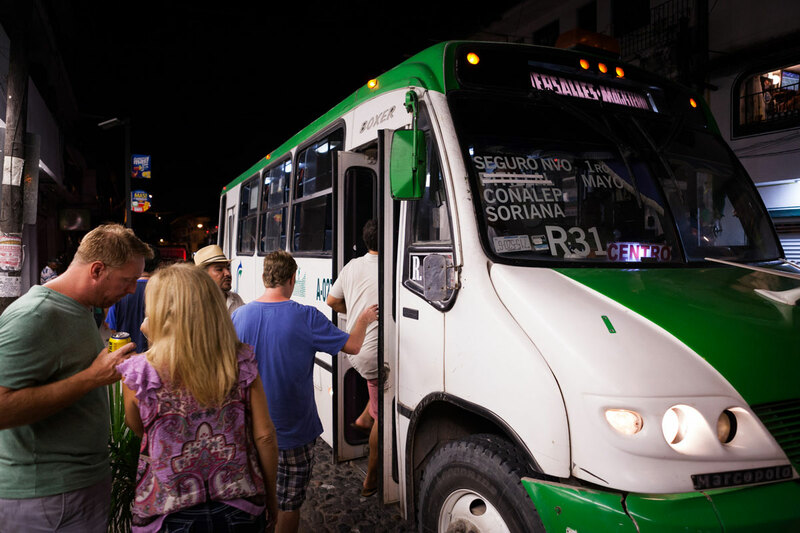 There is always something exciting to do in Vallarta but our city really comes alive at night. 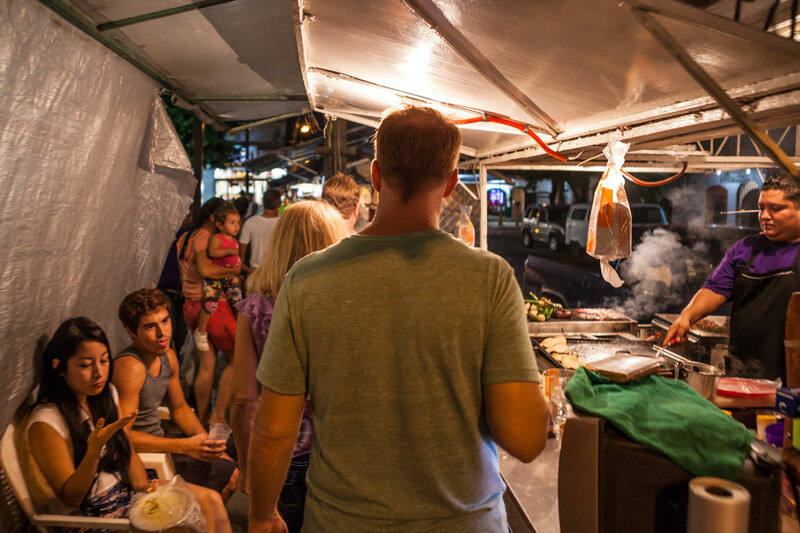 Save your appetite because this evening food tour takes you to the street food stands that are only open late in the day. 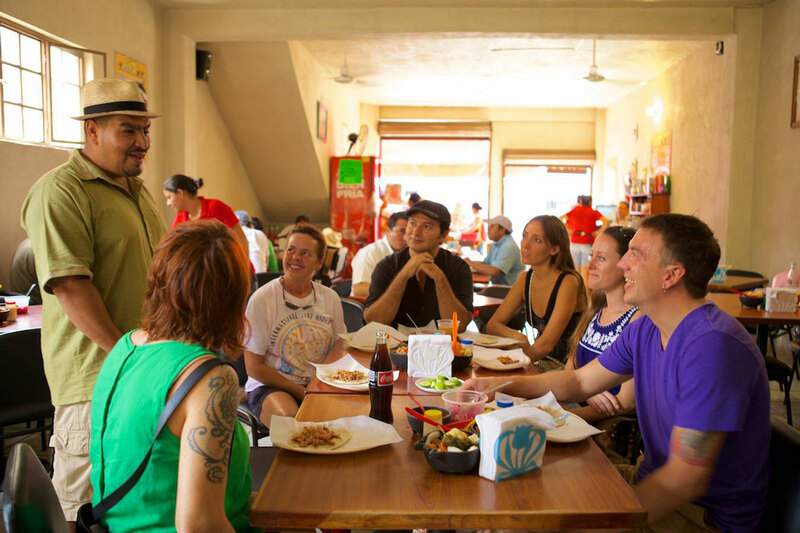 This 3.5-hour guided food tour kicks off in the heart of downtown Vallarta. 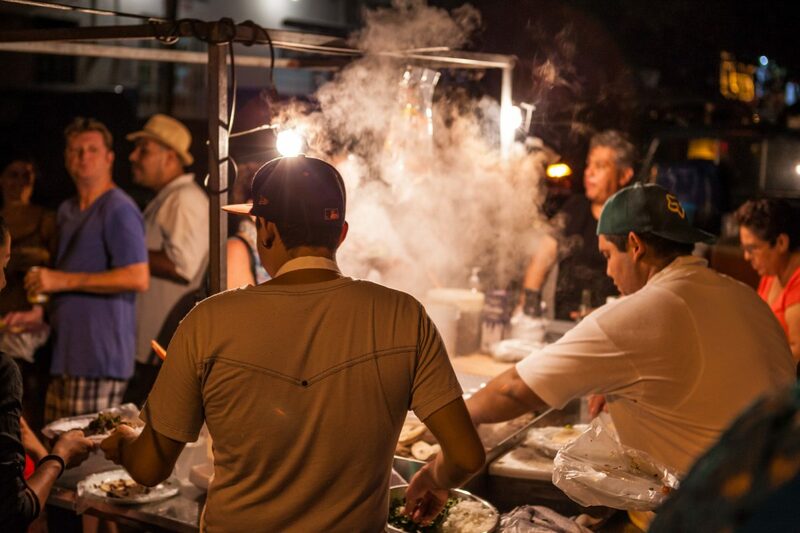 Come hungry as we will walk a little over 1 mile and take a quick 10-minute bus ride to dine at 8 authentic restaurants and street food stands. 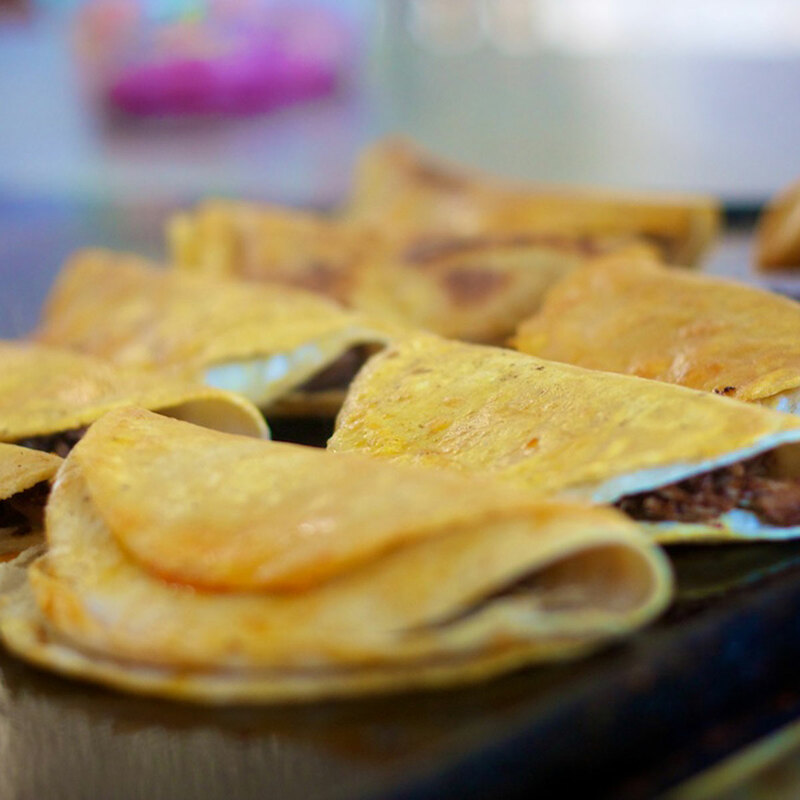 Tacos include carne asada, al pastor, seafood, and cabeza. 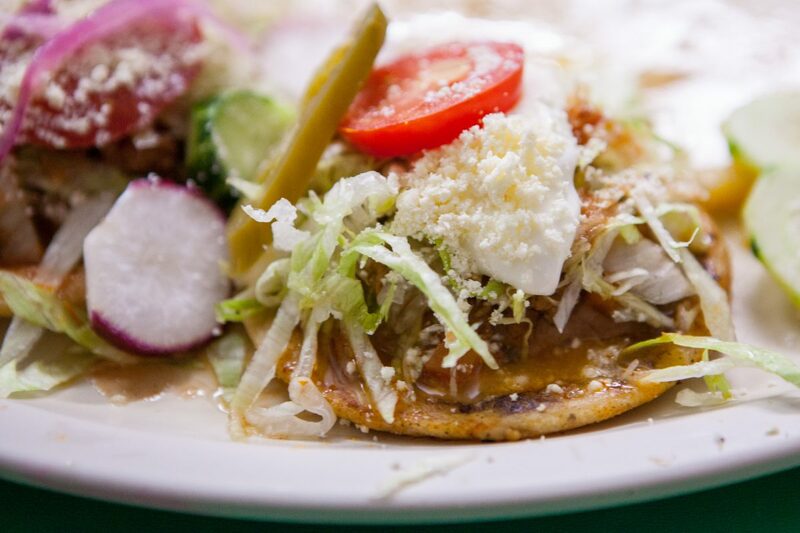 Also enjoy regional favorites such as pozole, sopes, churros, and a marlin quesadilla. 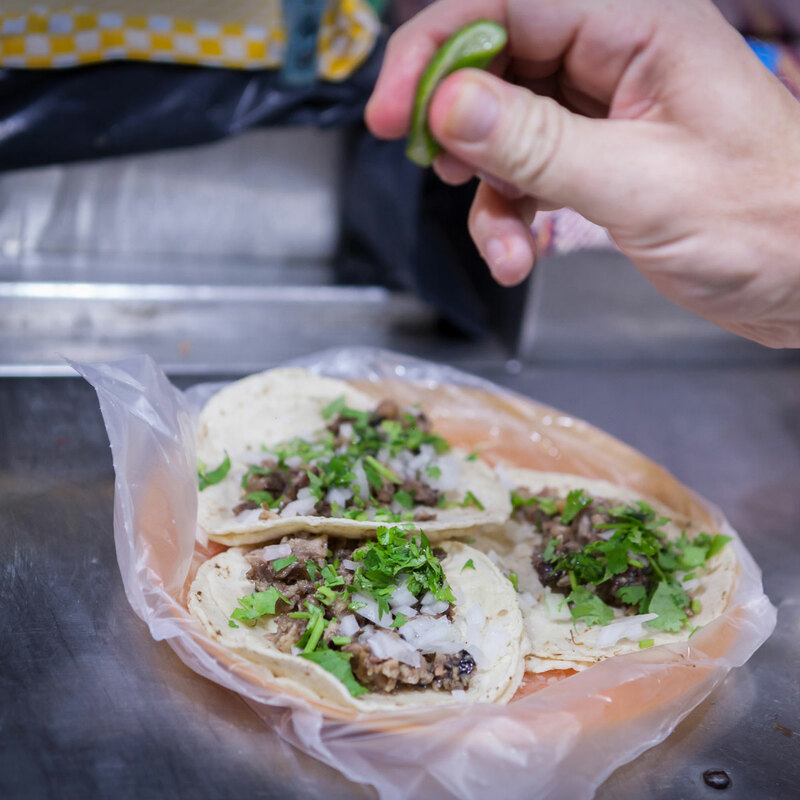 More Than Just Street Tacos – We’re foodies too and we understand your craving for street tacos, but for a truly authentic experience we have added a few other regional dishes to our list of tasting locations. We promise you won’t be disappointed. 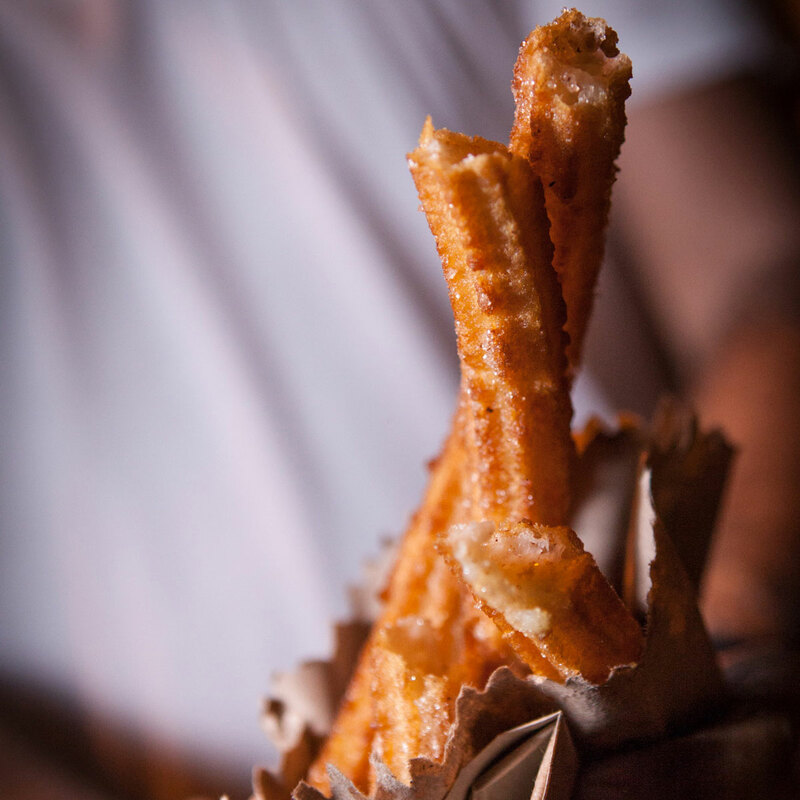 Behind The Food – We share the story behind each dish you taste and a bit about each street food stand. 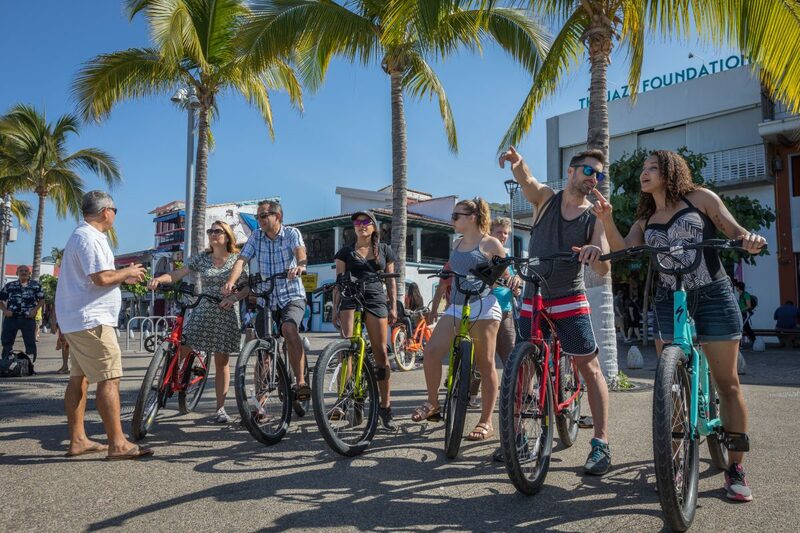 We point out the landmarks we pass along the way and share a bit about Vallarta’s rich history and culture. 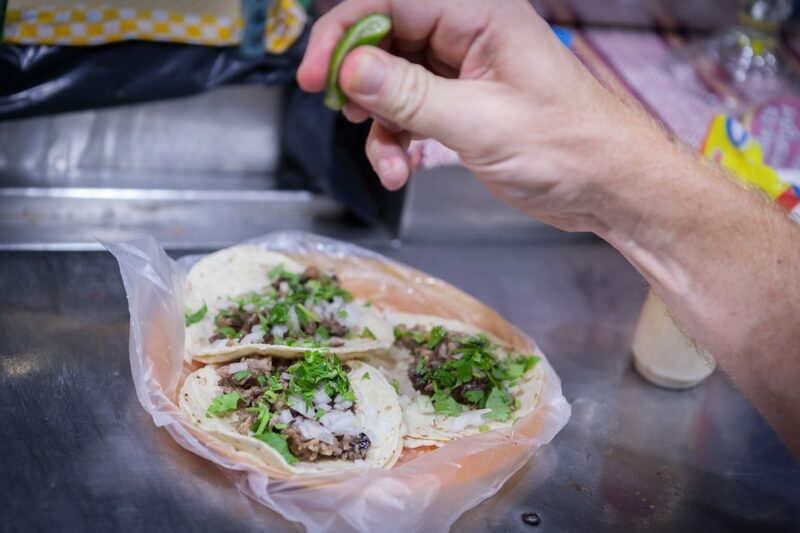 So Many Street Tacos So Little Time. 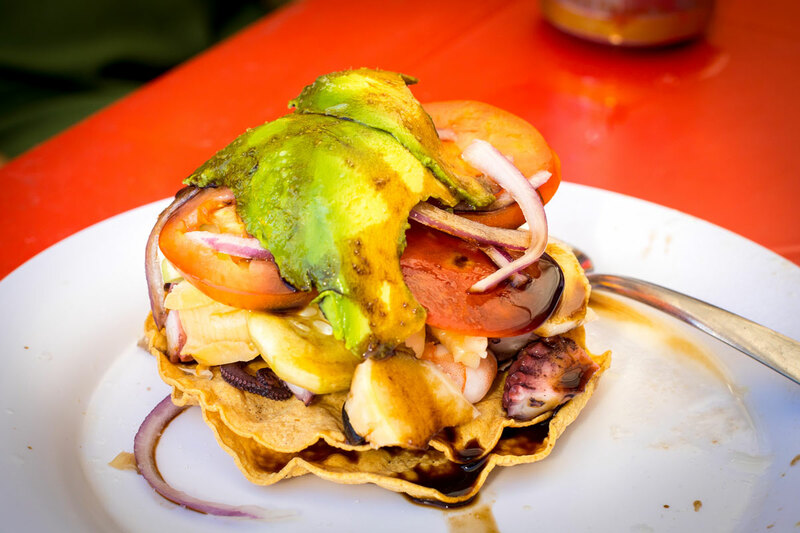 If you are only in Vallarta for a day, a weekend, or a week you don’t want to waste your time at a street food stand that is subpar. 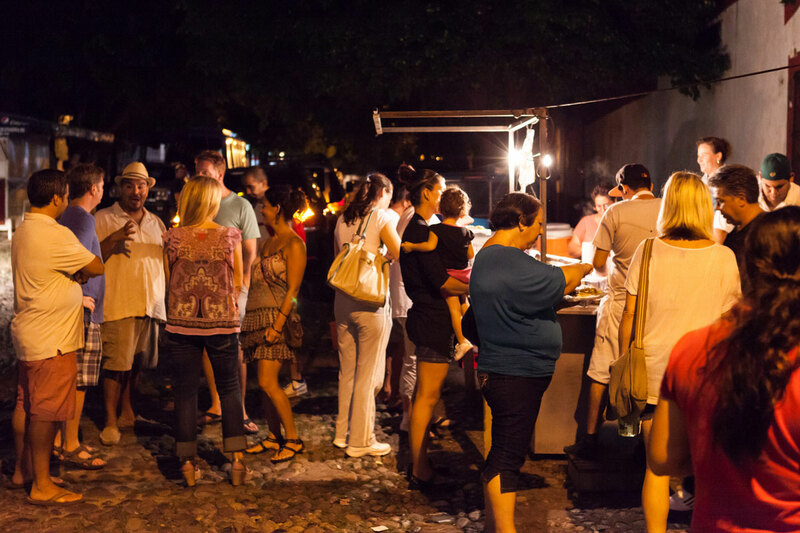 We make it easy by taking you to the best street food vendors in Vallarta. Vallarta Comes Alive At Night. 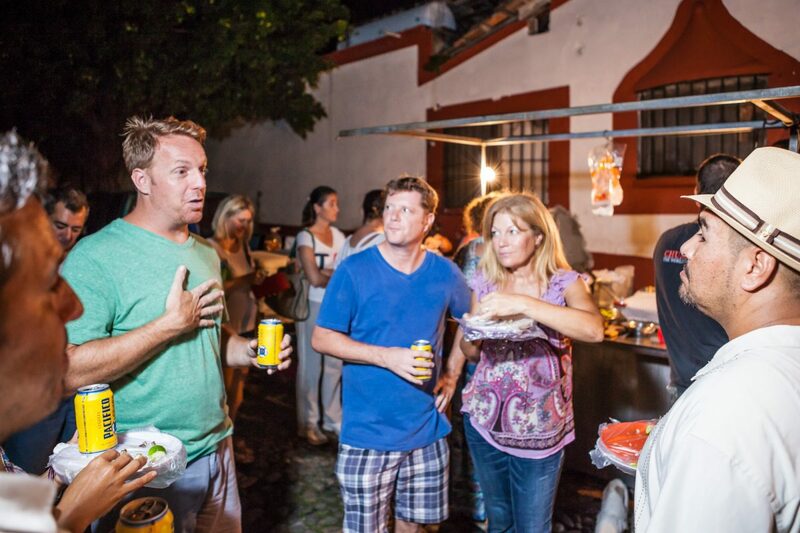 Enjoy the sights, sounds and undeniable energy of PV’s culinary scene. 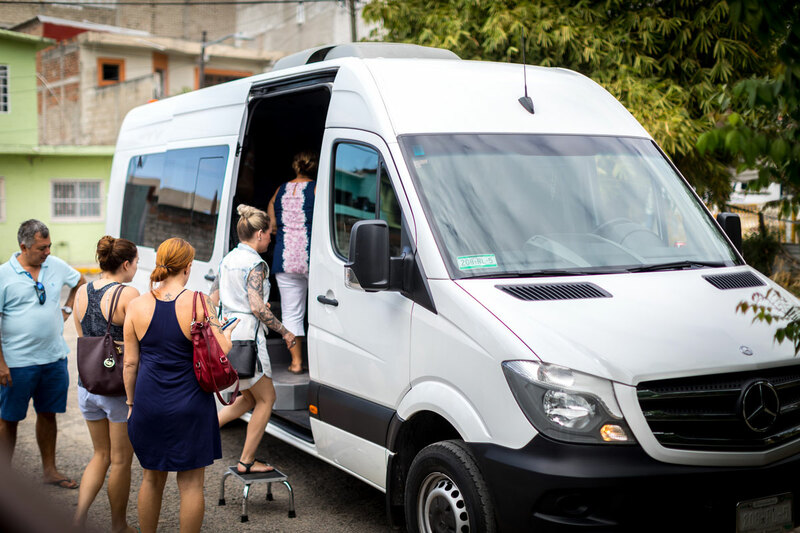 This tour is the perfect way to start your trip, learn your way around, and find a few restaurants to frequent during your stay. Small Group Tour. 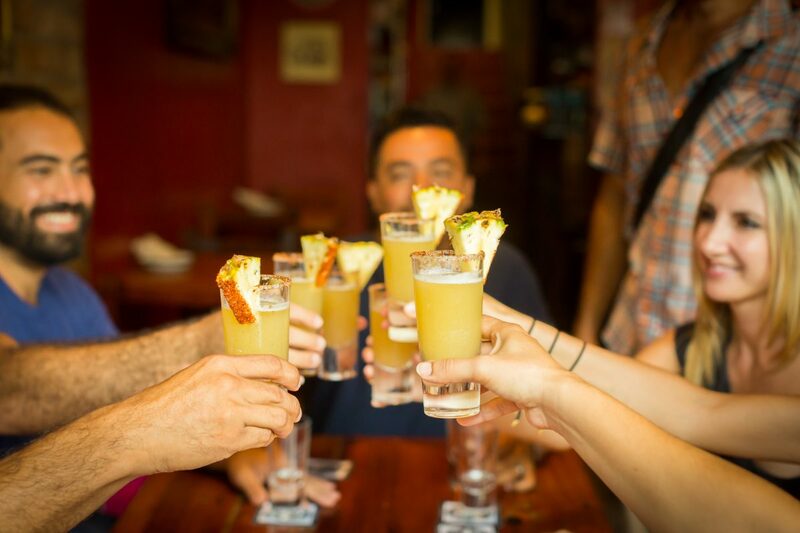 Our foodie excursions are for tourists and snowbirds alike. We keep our groups small to ensure that everyone has a great time and enjoys an immersive experience. 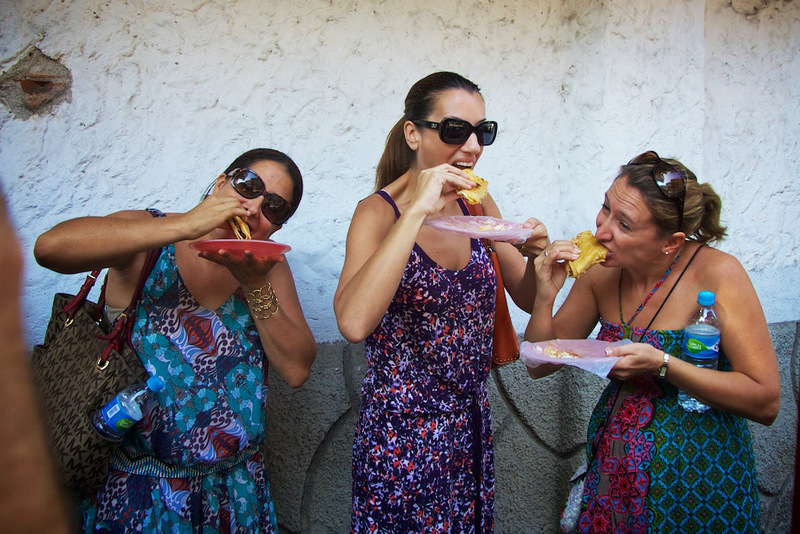 You are sure to make a few foodie friends along the way! Eat where the local eat! Discover a new world of taco! A local favorite, this family-owned restaurante has been serving up best fish tacos and seafood in Puerto Vallarta for generations. 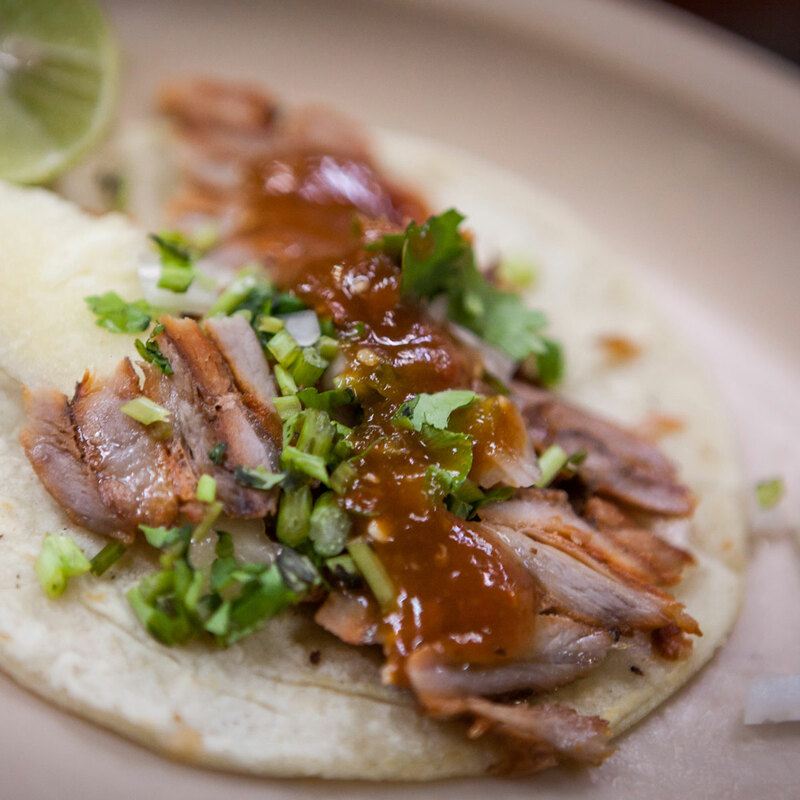 Serving that good old standby of street tacos, Carne Asada, made in a different and delicious way! Top it off with fresh homemade salsa! 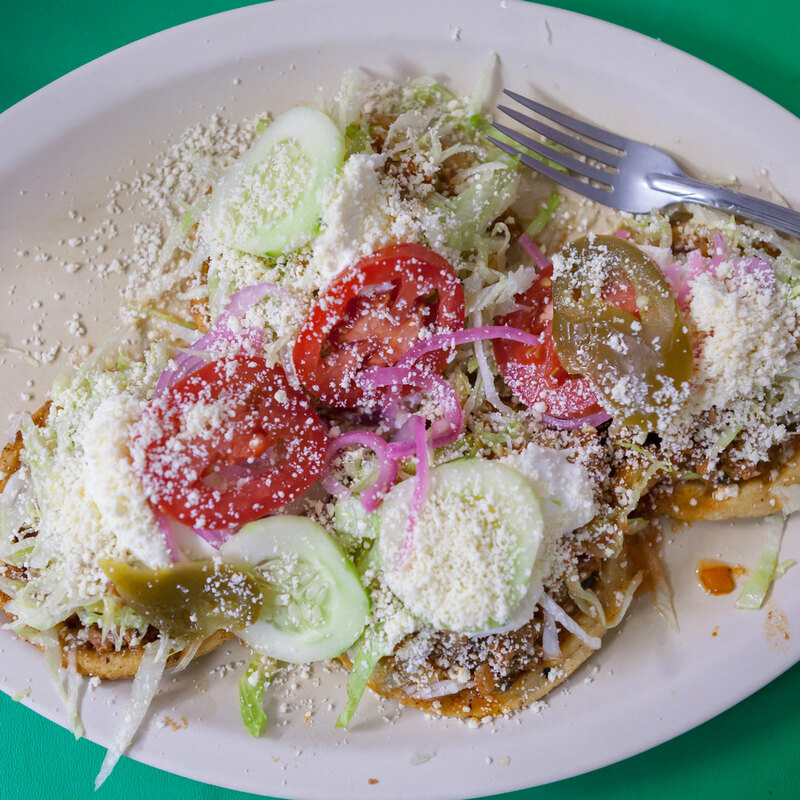 Juan Carillo Yánez started up this taco stand 40 years ago serving the best cabeza tacos around. His grandson, Sergio, now has the reigns. They still sell out nightly. 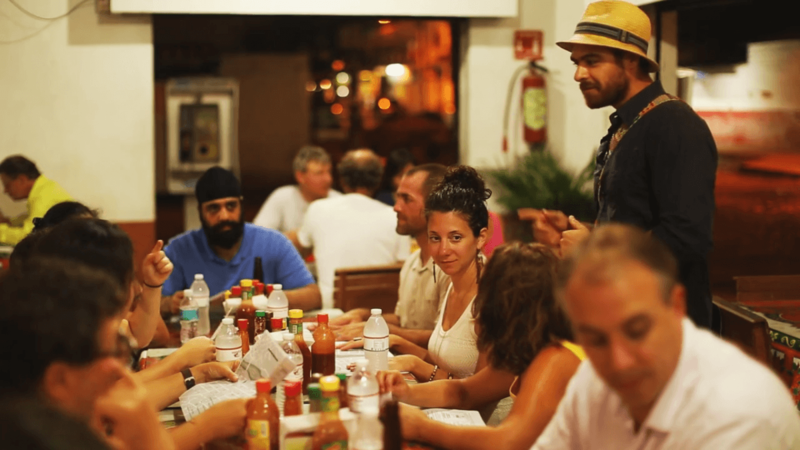 The oldest cenaduriain Vallarta, serving up some of Vallarta’s best pozole and and other traditional dishes. We enjoy a great copitaof Mezcal from Oaxaca in a great open-air patio hidden in a beautiful neighborhood of Gringo Gulch. 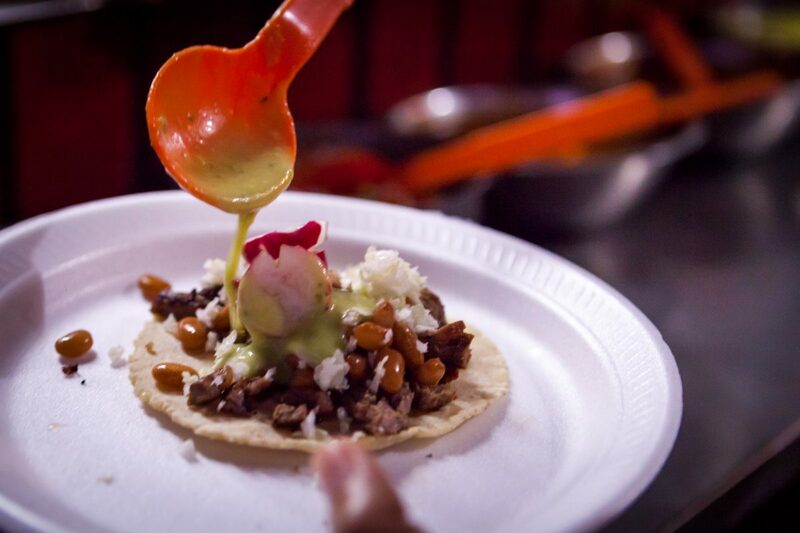 No taco tour is complete without the Taco Al Pastor. 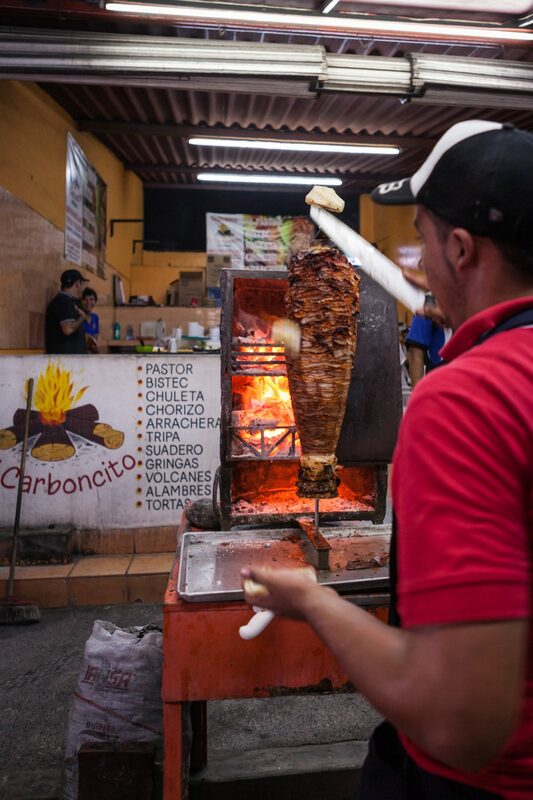 Served only at night, Al Pastor is not only delicious but a treat to witness. 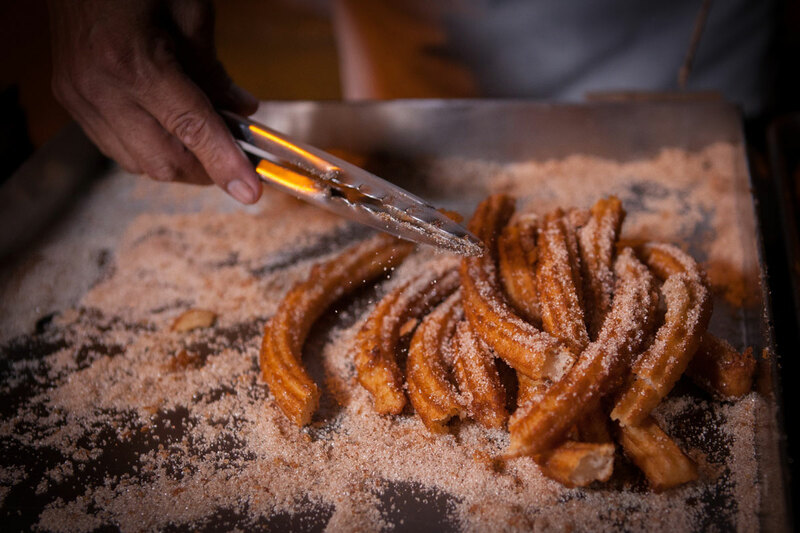 Freshly made-to-order, churros are one of the most fun and delicious street foods in Mexico. A perfect way to end The Street tour on a sweet note.